We investigate your health problem, leaving no stone unturned to determine the specific reason your health is breaking down. 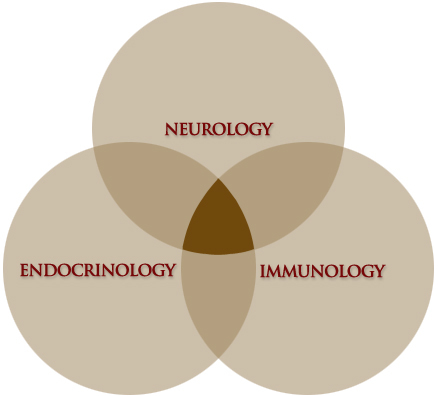 We take a unique approach with our patients by focusing on the nervous system and the complex interactions is shares with the immune system and endocrine system. Due to our expertise and specific focus in these three areas, we are able to provide our patients with the most comprehensive brain based therapy and functional medicine care in Indiana. You'll be hard pressed to find many offices like ours across the country that actually look at all aspects of health. Not only will you be able to feel the results, you'll be able to see the results because we provide evidenced-based medicine we can measure. We also have a very comprehensive process that we go through to determine the cause of your condition and determine if you're a candidate for our care. If we determine you're a good candidate for our office, we will work with you to develop an action plan to help you obtain your health goals. We focus on each and every one of our patients' overall physiological and neurological function. The reason is simple...essential to your care and success lies in our office's ability to understand how your brain controls your body's function! ​Working this way allows us to diagnose and work with a very comprehensive list of conditions and develop the most effective customized plan for you. The brain is in control of every cell, tissue, gland, and organ within the human body. If the brain is in a state of fatigue and decreased function, the areas of the body associated with that deficit will be dysfunctional (i.e. digestion, breathing, metabolism, movement, etc.). So, when you have a health condition...we locate the issue in the body and see how it is tied to the brain and your overall function. Additional testing (if necessary) MRI, CT, NCV/EMG, VNG, antibodies, etc. We perform this type of comprehensive exam to determine the subtle weaknesses and imbalances in your body's neurological and physiological function in order to customize a program specific to your problems. We work with patients through neurological rehabilitation, pain management and metabolic coaching. This is a key difference that sets NeuroHealth Services apart from other offices and makes us one of the most cutting-edge and comprehensive clinics in all of Indiana! Call (317) 848-6000 to see if you qualify for care.